These craft are essentially a stretched version of the smaller 22 and 23 model. A shallow V hull with long keel allows for easy, slow speed handling. 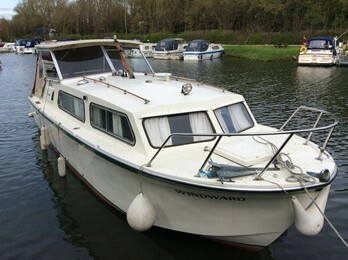 The cabin offers 4 berths usually in open plan layout. The 28 is a rare craft as only 60 were built. All craft were conventional shaft driven with either Ford Watermota Petrol or Perkins diesel.